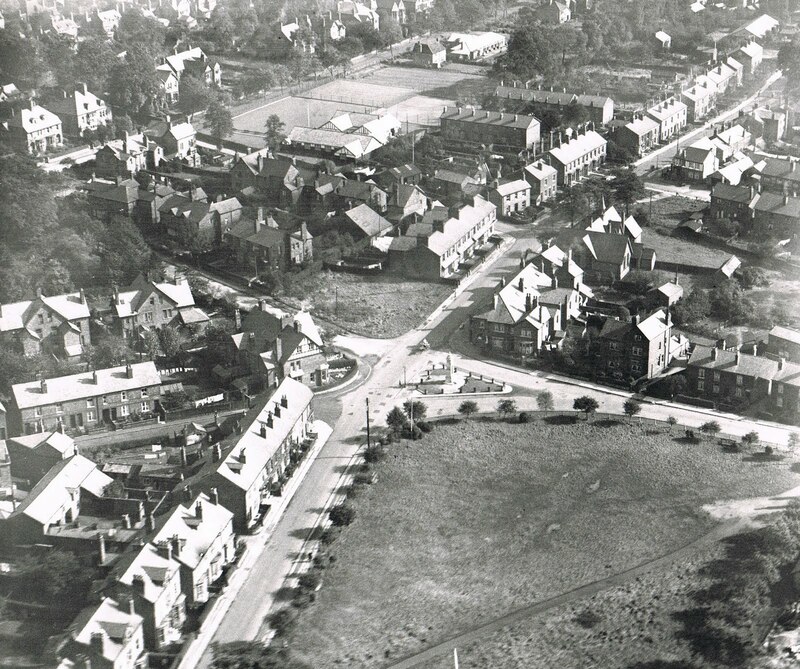 Above are two aerial pictures from the photograph archives in the Wilmslow Library, and reproduced here by kind permission of the library. 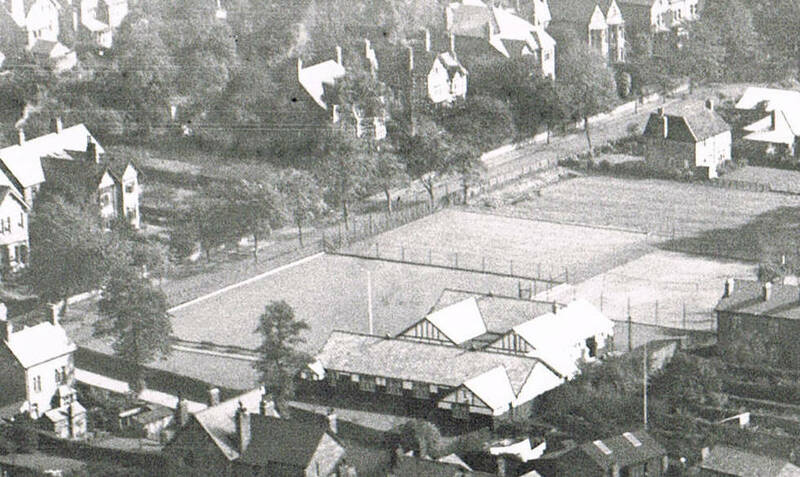 They show the western side of Wilmslow covering the current site of the Wilmslow Conservative Club, from two slightly different angles. However, as the images were captured in the past they depict the location and layout of New Conservative Hall. 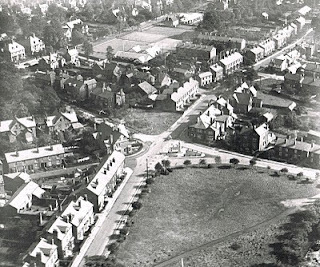 The left hand images shows the site as it was in the 1920s, the road entering from the bottom of the picture is Water Lane. 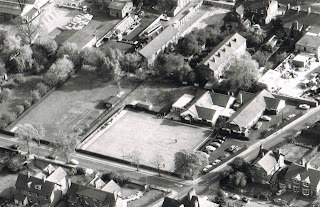 Taken only a few years after the club opened, the layout of the Club buildings and current bowling green are clearly visible. The right hand image shows the site as it was in 1974, with Grove Avenue crossing towards the top of the picture. 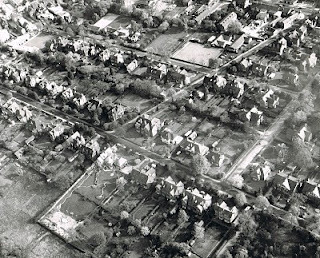 It is noticeable how little has changed from the picture taken 50 years previously, on the road and surrounding area. However, it's a very different story today, a modern satellite view can be see in this Google map. Below are close up views of the club site taken from the above images.